[PDF] Jewish Philosophy in the Middle Ages (Emunot: Jewish Philosophy and Kabbalah) | Free eBooks Download - EBOOKEE! 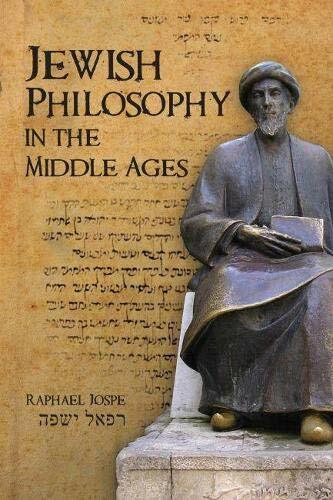 Description: Jewish Philosophy in the Middle Ages presents an overview of the formative period of medieval Jewish philosophy, from its beginnings with Saadiah Gaon to its apex in Maimonides, when Jews living in Islamic countries and writing in Arabic were the first to develop a conscious and continuous tradition of philosophy. The book includes a dictionary of selected philosophic terms, and discusses the Greek and Arabic schools of thought that influenced the Jewish thinkers and to which they responded. The discussion covers: the nature of Jewish philosophy, Saadiah Gaon and the Kalam, Jewish Neo-Platonism, Bahya ibn Paqudah, Abraham ibn Ezra's philosophical Bible exegesis, Judah Ha-Levi's critique of philosophy, Abraham ibn Daud and the transition to Aristotelianism, Maimonides, and the controversy over Maimonides and philosophy. No comments for "[PDF] Jewish Philosophy in the Middle Ages (Emunot: Jewish Philosophy and Kabbalah)".